This is a little tradition Taylor and I started last Halloween when we were engaged. We picked all the best cheeses and crackers and fruits and some fruits we weren’t even sure how to eat, put it all on a pretty platter and feasted while we passed out candy to trick or treaters. I look forward to doing this again this year! Invite some friends over and bust out Hocus Pocus and It’s the Great Pumpkin Charlie Brown. Hello, nostalgia! 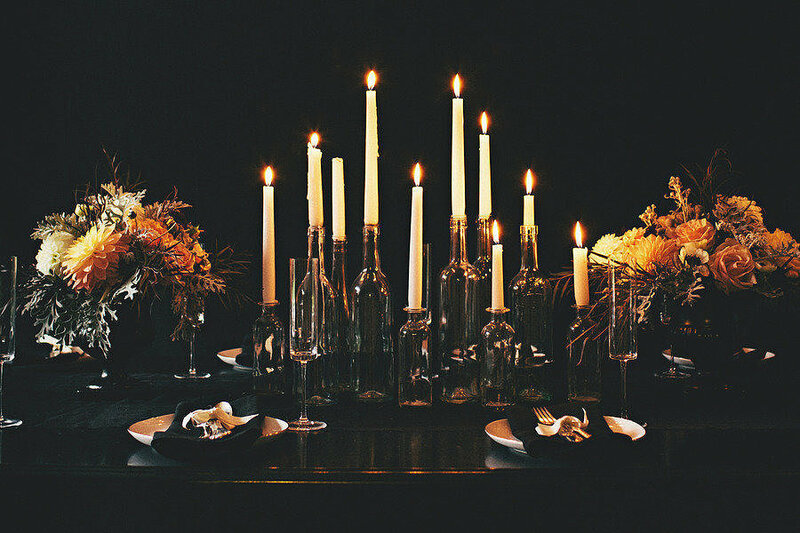 Turn off all the lights and watch the classics by candlelight. Even after 29 years I absolutely love everything about carving pumpkins and my favorite part, roasting the seeds after! Bonus points if you don’t get pumpkin guts all over you! We are super excited to have some couples over for an old fashioned costume party, complete with a grand prize for best costume. I cannot stress this enough: you don’t need a big house or Martha Stewart-level hostess skills to host a great party! Invite friends, get a great costume, make great food to munch on, add some spooky touches to the house and ENJOY!